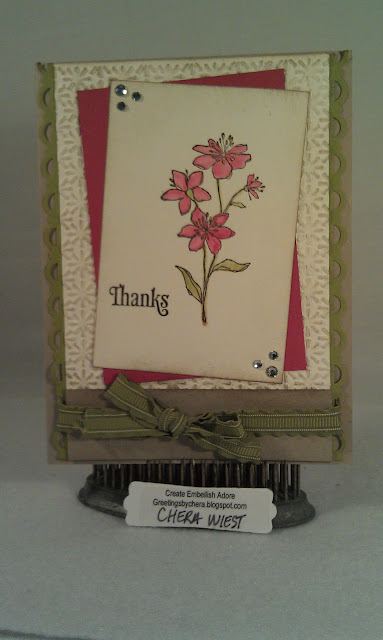 Create Embellish Adore: Thank you! Just a quick little thank you for all your support, comments and visits over the last year. Its been a trying year for us. We cannot forget about lifes surprises either! beautiful card, love those colors together. Thankful to have connected with you through stamping and looking forward to 2012 when we finally meet.